Count the number of beats in 15 seconds and multiply that figure by 4.
weird, I do the same thing, except I count the beats in 6 seconds and multiply it by 10. got the idea for it at the doctor's office when the nurse was taking my pulse. Lot of good tips, quite cheap. Small but very efficient. Especially when you do a lot of recording. Adjust volumes, mute, solo and arm tracks on the fly. Plus some transport buttons. Time saver! Can recommend anybody to get some kind of a controller with it. 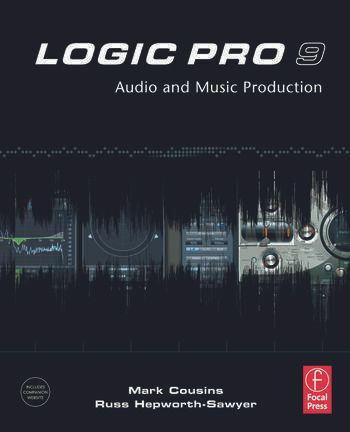 Sound-on-Sound tutorial/article about chopping audio in Logic 9. It works and works well! Simple as could be. Hope this helps someone else. Here's a hotkey configuration I use which is useful at times for chopping samples. I find chopping samples in the arrange area and then having them automatically mapped into the ESX24 via the "Command - E" function to be much more efficient then manually assigning samples in the ESX24. Has anybody got any idea on how to get the MPC studio black and logic pro x to work together. I have been trying to get the to work together but running out of idea's. For some reason the pads to not correspond to the keys they should match to, so with plugin's like the exs24 and serato sample don't seem to work correctly. Can anybody give me any idea's on how to sort it? ?